Nykaa SKINgenius Face Foundation Stick has got you being clever about coverage on the go! Use it as a Concealer, to cover and contour - Whether, you're on the move or always on the clock, this stick allows you to do your base makeup in one hot minute. 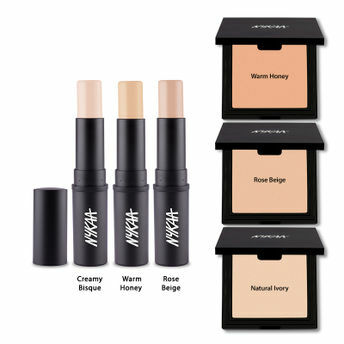 This buildable, creamy formula gives you a natural matte finish. The unique formulation melts in your skin and blend effortlessly to you that perfected complexion. Its enriched with Vitamin E for all the nourishment your skin needs.